Bloomberg's Jeremy Kahn flew 70 mins from London to the Isle of Man, an island that has welcomed digital currencies like no other place on the planet. He also found a healthy dose of Hipster bakeries, locally brewed beer, and ultrafast broadband—everything a bitcoin hub needs, plus some seriously strange charm. The way Donegan sees it, while the U.K. dithered next door, publishing hand-wringing white papers about how to approach bitcoin, the Manx government plowed ahead. In less than a year, it created a regulatory framework and passed legal changes through the Isle of Man’s parliament, the Tynwald, which dates back more than 1,000 years and claims to be the world’s oldest continuously operating legislature. 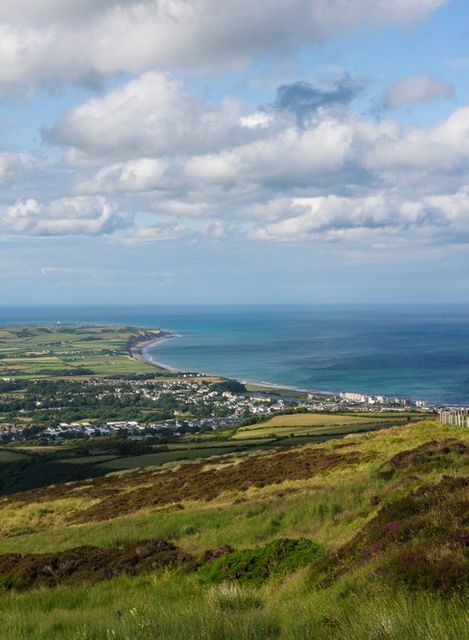 Cryptocurrency exchanges must now abide by the island’s anti-moneylaundering and know-your-customer requirements, with the Isle of Man’s financial regulator enforcing compliance. “To keep crime out and protect the consumer is our absolute priority,” Donegan says. Perhaps a more fitting title: Bitcoin weirdo invading Isle of Man. And, what a pretty island!